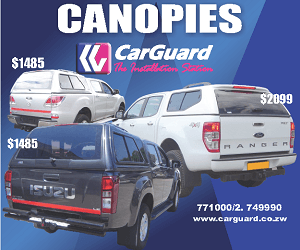 Dynamos and Highlanders winless streaks continued when they drew their matches while CAPS United blew a chance to go top of the ZPSL again. Lloyd Mutasa made a number of changes to his Dynamos squad dropping a number of senior players for indiscipline.In the 14th minute Masimba Mambare opened the scoring for Dynamos at reacting quickly after a rebound. In the 27th minute Mkhokheli Dube thought he had equalised for his side but his effort was ruled out for offside. Despite the setback Bulawayo City continued to press and were rewarded for their efforts with Sipho Ndlovu equalised six minutes after the halftime break. Both teams had chances to seal the game but wasted their chances. 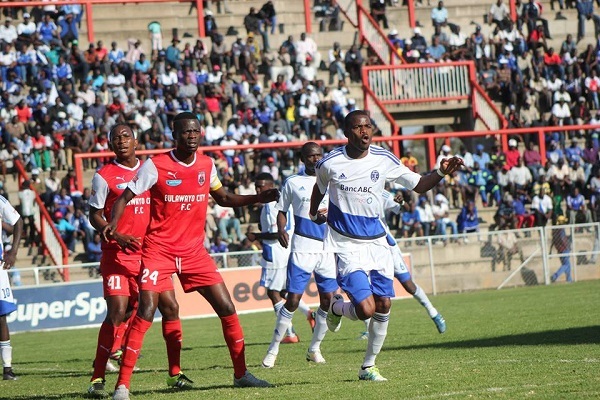 Dynamos have now gone six straight games without a win and drop out of the top 4 to sixth spot after the result. At Barbourfields Stadium Highlanders and Chicken Inn drew 1-1 in a highly controversial match. Highlanders dominated proceedings and could have gone ahead early mid way in the first half when King Nadolo looked to have been brought down in the box but instead was booked much to the surprise of many. Despite playing second fiddle Chicken Inn grabbed the lead through Lawrence Mhlanga in the 34th minute. In the 52nd minute Simon Munawa equalised following a cross by Rahman Kutsanzira . The goal spurred Highlanders as they pressed for the winner but Chicken Inn continued to also threaten as they game progressed. There was drama at the end when Tafadzwa Kutinyu found the back of the net only for the referee to indicat he had already blown for full-time. The decision infuriated Chicken Inn technical team and players who mobbed the referee after the game. Highlanders fans were not impressed with the officiating either and hurled missiles after the game forcing police to take cover as they invaded the pitch. At the Colliery CAPS United and Hwange played out a goalless draw. Despite a hectic trip to the Colliery CAPS United displayed good football but could not breakdown the Hwange defence. 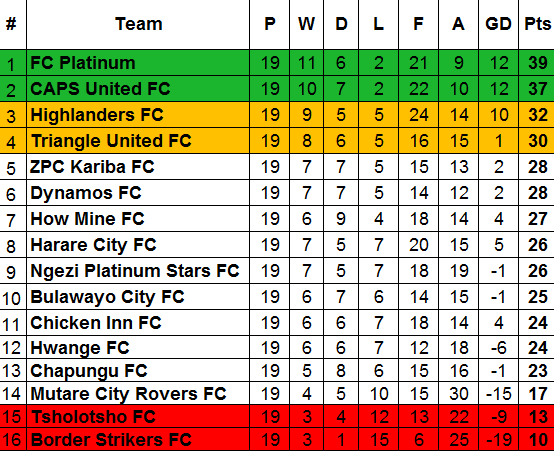 The result sees CAPS United fail to take advantage of FC Platinum dropping points against Mutare City.